Blender is not only a FX Loop and A/B Switch, but also allows you to mix the clean sound with the sound that is going through the loop. 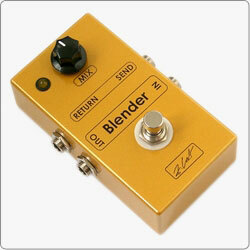 It allows you to mix or blend the effects with a dry signal. You can clean your guitar or bass guitar sound without any frequency loss.